The case of President Trump and Stormy Daniels actually raises some interesting federal civil procedure. 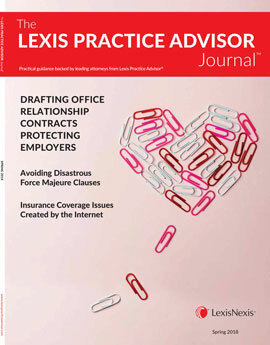 In the following video, noted expert Jim Wagstaffe of The Wagstaffe Group speaks about the high profile case and contends that the lawyers for both President Trump and Stormy Daniels would benefit from the practical guidance in his Lexis content, specifically the sections on removal, venue, and arbitration clauses. Motion to Remand: Making the Motion (Federal).